How Can We Buy Your Used Car and Make sure You Get the Most Money Possible? Our nationwide network of car buyers can quickly, easily and safely purchase your vehicle at YOUR home or office! No need to come to us, we come to you! Our process is easy. When you call us at 602.696.4570 one of our friendly customer service reps will ask for a little bit of information about your car. (Year, make, model, miles, condition, etc.). They’ll enter the information into our state-of-the-art database and get you an offer right over the phone. 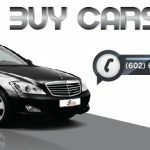 If you can’t get to a phone right now, you can use our handy form at www.CarBuyersArizona.com. Someone from our office will contact you and give you an offer. Most cars can be picked up the same day or early the next day. 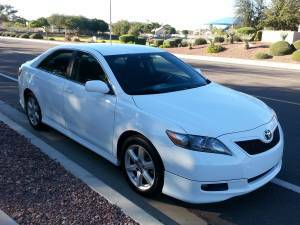 We pride ourselves in getting our customers as much money as possible when you need to sell your used car or truck in Arizona without all of the hassle and aggravation that usually comes with selling a car or truck in Phoenix. Cash For Cars is what we do! RUNNING OR NOT! WE BUY CARS! 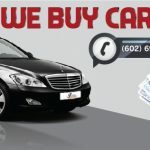 CarBuyersArizona is more than just a saying..we buy car for cash, it’s a way of life. We buy any car, running or not. If you need to sell a car fast or you are in need of cash, we are the place to call. Sell a car online with one simple call or click. You can get a fast, free TOP DOLLAR offer on any make, model or year car, truck or SUV.